CBCT images of #25 confirming the fused tooth with two supernumerary teeth. (A-C) 3-dimensional reconstruction images. 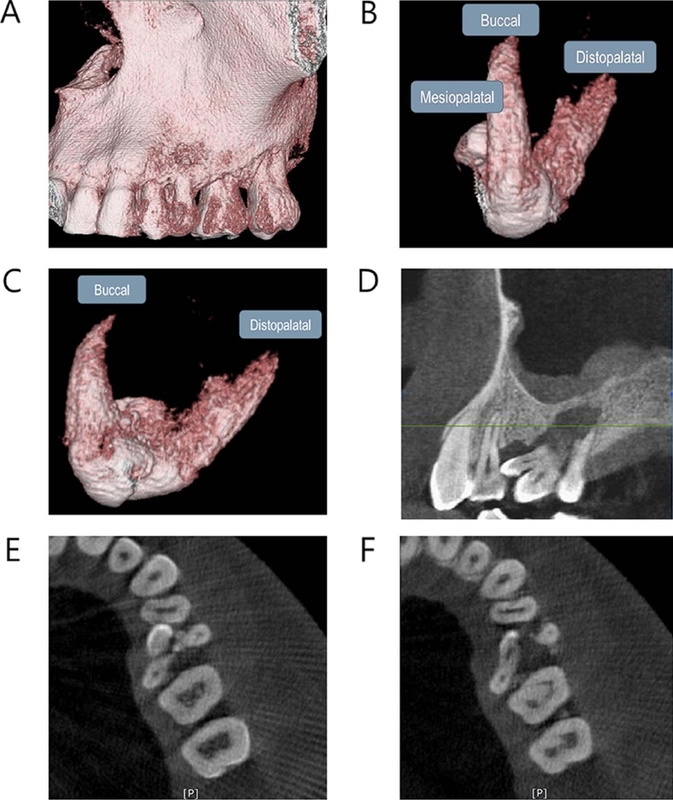 (D) Sagittal image reveals separated canal of #25 and supernumerary teeth. (E) Axial image of the coronal third. (F) Axial image of the middle third.